Since 2010, about 350,000-400,000 Greeks between 20-30 years old who were affected by the lack of jobs, have left Greece, 2/3 of which are university graduates and holders of post-graduate diplomas. According to Financial Times, 9/10 Greeks don’t think about returning… Reload Greece is a United Kingdom-based educational charity doing a fascinating job, that aims to create a new generation of entrepreneurs to build businesses that will have a positive impact on their home country. Let’s find out more about the Reload Greece Initiative from its co-founder and CEO, Ms. Effie Kyrtata. Intro question: What is the social innovation “Reload Greece” about? Reload Greece is a UK registered charity, which enables a new generation of entrepreneurs to start businesses that have a social and economic impact in their home country. More than 4,000 people have been educated and 90 plus ventures have been accelerated that have contributed to the creation of more than 100 jobs in Greece and beyond. Since the economic crisis started in Greece more than 250,000 young people have left in search of better opportunities and prospects in other countries. Being part of this generation we felt like there was a great need to develop a bridge between our home country and the rest of the world. This bridge ultimately became Reload Greece, an organisation which through its educational programmes and highly experienced mentor network enables aspiring entrepreneurs to start businesses that can significantly contribute to the economic development of their home country from wherever they are based. At the same time, aspiring entrepreneurs based in Greece are able to benefit from Reload Greece’s programmes held in the UK learning how to develop extroverted businesses, connect with international experts to expand their propositions and address global markets as well as meet potential investors who can help scale. We started as a group of 5 volunteers who had a common vision and passion to address the problem our generation was facing but Reload Greece found many people along the way who had a common belief and purpose and joined the ‘Reloader’ movement. We now have a community of more than 150 volunteers and a wider community of more than 20,000 people who are engaged in our work. Collaboration is a key value of our organisation; we are open to new ideas, don’t shy away from new opportunities and work together as a team to stay motivated and get the job done. There are many fears you face when you start something out of nothing, the uncertainty is so great that almost everything is done for the first time and there is no predetermine road for success. Although you can read many stories, books and guides about what to do, you ultimately come to the realisation that this is your road that you need to build it with your vision, purpose and values. Fears can be turned into the biggest strengths and drivers. The fear that you will never have done what you envision and that you may regret not starting at all for me is quite a powerful force to keep you committed, focused and determined to succeed and keep trying even when you feel like things may go wrong and fail. We started Reload Greece while we were still at University or working on our full time jobs. We would all get together during the evenings and weekends and grew our volunteer base from 10 to 25 people. A Professor at the London Business School who teaches on strategy and entrepreneurship enabled us to grow the organisation by appointing two of us as his research assistants. This gave us the opportunity to work on Reload Greece full time. One of our co-founders, Markos Kiosseoglou was the first one to join him and shortly after I also joined them alongside a few incredible interns and MBA students from the University who helped us develop our initial business plan. We then clarified our mission and vision, decided that because our work is solely focused on giving back to the community, we want to found a charity organisation and we then focused on developing our activities and educational content. We recruited our first Board Members and applied for our first round of funding to corporates, foundations and individuals who believed in our cause and what we wanted to achieve. Once we solidified our purpose, vision and mission and started running our educational programmes our first real ambassadors were participants from our events who on-boarded their peers and this is how we raised awareness at first. We then developed our online presence through social media and our website while also building our newsletter subscribers who wanted to stay updated on our work. Once our impact started growing and because there was no other initiative tacking the issue the way we were, more and more people found value in our work and joined in. The press shortly wrote stories either on our organisation or on our beneficiaries, which really helped us raise awareness. By far the most impactful way to raise awareness is through the stories of your beneficiaries, let your work speak for itself. We ran focus groups, we did surveys we ran pilot events. We constantly sought and seek feedback in everything we do. We asked our community what is it that you want to see from what we are building, what are your needs, how can we help? Our door has always been open to hear new ideas and adaptation is key when you are shaping something new. We raised our first round of funding by having a solid team and plan and our legal charitable status approved by the Charity Commission. We had a clear direction and knew how we were going to get there and were very passionate and committed to follow the plan through no matter what. The latter was very important when approaching individual donors and organisations. We have been very humbled to have received the invaluable support of esteemed foundations, corporates and individuals without whom, we would not have been able to grow our organisation and to whom we are very grateful. Key I think is turning up prepared, know what you want to achieve and how you are going to get there setting out your three year plan. Having a team whose skills are also complementary is key as it proves you have the driving force to execute on your vision. We scaled our organisation gradually. We went from one full time employee to two, to four and then started working with project managers for specific programmes. We maintained a very lean structure but focused on delivering key milestones at each step of our journey; first solidifying our vision/mission/operations, then refining our brand and identity, then working on our culture and setting up internal processes to automate procedures. What has always been consistent and a common denominator throughout has been our values, we have always stayed true to those and no matter the milestone, always refer back to maintaining those as the DNA of our organisation. You can never do anything alone. Changing systems and perceptions is always a collective effort. Never underestimate the power of a group of people who share a common vision and purpose. You change a system one step and one perception at a time. In our case, we worked on showcasing successful role models to inspire action, then we provided solid and concrete ways in which people can follow through their dreams and turn them into practise. You never change a system without changing the mindsets and the mentalities of the people who drive them. This is what we are trying to do at Reload Greece, hacking an entrepreneurial mindset into our culture. What it the one advice you can give to an aspiring social innovator, a member of the Social Innovation Academy, with only two things at the moment: a big heart and a willingness to do something? Don’t overthink, just get started! There are always a million reasons that can hold you back and never get to even start what you want because of fear. With determination, hard work and great passion in what you want to achieve, anything is possible! 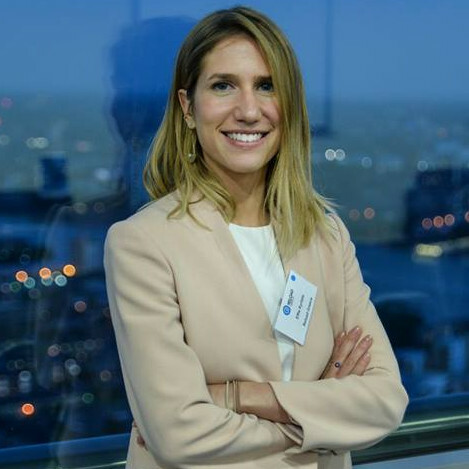 Effie Kyrtata is co-founder and CEO of Reload Greece (RG), a London based educational charity which enables a new generation of entrepreneurs to create ventures, with a positive social or economic impact in their home countries. Over the past three years, Effie’s work has been focused on scaling the organization transitioning it from a grass routes, mainly volunteer led, initiative to a registered charity organization with full time employees and a solid structure. RG has educated more than 3,000 people and has accelerated more than 70 start-ups to date. 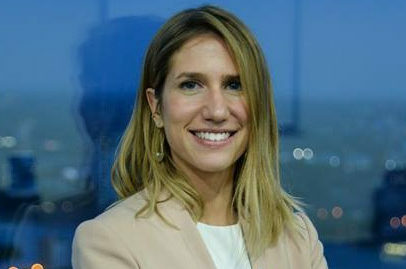 Prior to joining RG full time in 2015, Effie worked as an Associate at the Merchant Partnerships division of Next Jump, which is the world’s largest provider of employee benefit platforms. Effie holds an MSc in Innovation, Entrepreneurship and Management from Imperial College London, for which she was awarded an Academic Excellence Scholarship and Bachelor of Laws from King’s College London. An interview with Fundación Maimona’s CEO, speaking about rural social innovation and what it takes to really make it happen. Smetumet design solutions and products that turn waste into high-quality and well-designed usable products. Read an inspiring interview with its founders.